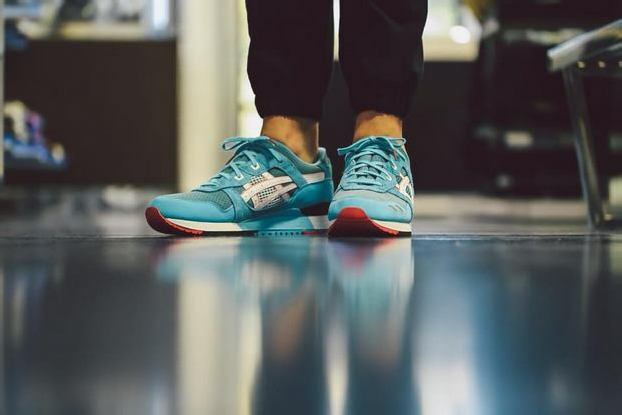 The special BAITme.com members only opportunity to purchase the Asics Gel Lyte III “Teal Dragon” exclusive global re-issue is now over. We’d like to thank all of the BAITme.com members who purchased the shoe and helped celebrate our upcoming two year anniversary with another successful release! All shoes are expected to begin shipping out on October 13. However, there are still a few chances at purchasing a pair for those who missed out or didn’t have access: limited units are available through in-store at all three BAIT locations. In-store reservations open at BAIT Diamond Bar, BAIT LA, and BAIT Orange County; a $10 deposit is required to guarantee a pair for pickup on 10/1o through 10/11, limit two pairs per customer. As always, we encourage everyone who doesn’t have an account to sign up for a free membership account now so they don’t miss out on future special releases and offers!